Take our Jobs-to-be-Done online course and create clear criteria for your roadmap, focusing your team on customer needs. 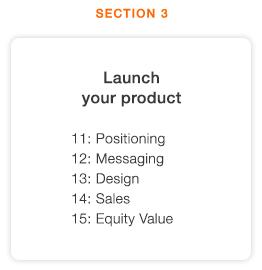 Product teams are no stranger to a pivoting roadmap. Nailing down customer needs while keeping internal opinions and influences at bay is not only exhausting, it’s unproductive. The endless war room battles that have your roadmap spinning out of control end now. 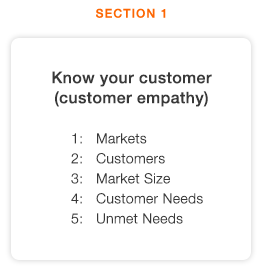 Imagine if everyone on your team agreed on your customer's needs, what needs aren’t being met, and how to solve for those needs. 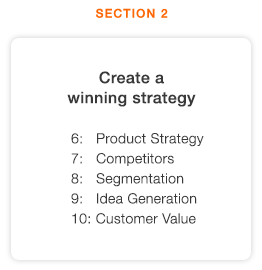 You'd have a stable target and common decision criteria, instead of a roadmap defined by opinions alone. Through our Jobs-to-be-Done course, you can quantify which needs are most important, maintain a clear strategy, and stay aligned around your customer. 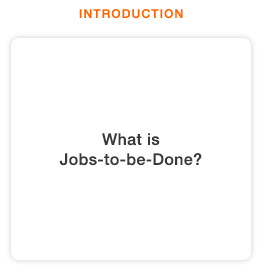 In this course, we’ll teach you how to leverage Jobs-to-be-Done (JTBD) to make smarter choices about what to build and how to understand your customer’s ultimate goal and how they struggle to achieve it. "Understanding the JTBD was 'realizing my full potential' was a critical first step, but thrv also showed us how to break down this goal/JTBD to identify unmet needs in achieving this goal. This is what we found really powerful about working with thrv; we can identify needs as metrics which we can measure and act on to help our customers/students." Jay Haynes, thrv's CEO and Founder, is an award-winning executive and entrepreneur. Through his work with product teams at Fortune 500 corporations, private-equity sponsored companies , and vernture-backend start-ups, Jay has led thrv's Jobs-to-be-Done advancements. thrv enables product teams to dramatically increase their effectiveness in using jobs-to-be-done to reduce roadmap risk, accelerate revenue growth, and generate superior equity value. Before spending a decade in Private Equity and another decade as CEO of venture-backend startups, Jay graduated Phi Beta Kappa with highest honors from Brown Universiy, and he received his MBA with distinction from Havard Business School. thrv (thrv.com) is the first and only product management software for enterprises based on the jobs-to-be-done method. thrv provides training, services, and software to companies looking to implement the jobs-to-be-done method in order to accelerate their revenue and profitability growth. thrv's software transforms product management into a customer-centric and metric-driven practice. You can start and finish the course at any time. Our Jobs-to-be-Done course was designed with your schedule in mind. Carve out time over lunch or knock it all out in a weekend. However and whenever you want to get it done is up to you. As long as you want. There are exercises in the course that you can only answer once, but you can see the summary for forever. The course is delivered in a series of online videos and corresponding decks, making it easier to take in the information. Do I need to understand what Jobs-to-be-Done is in order to take this course? You definitely do not need to understand what Job-to-be-Done is. We start the course with an overview of what Jobs Theory is and how to apply it to your business.